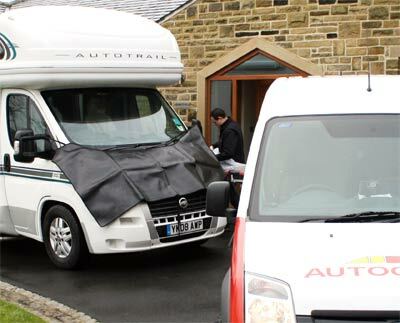 In 2010 43% of the motorhome claims that Caravan Guard handled were for windscreens, but many of these claims could have been avoided with a quick, simple and free repair to a small chip before it spread in to a crack which meant the windscreen needed replacing. 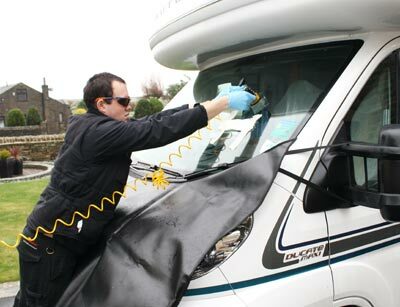 Caravan Guard have a long working relationship with windscreen repair and replacement specialists Autoglass® and work closely with them to ensure that any windscreens which can be fixed are caught early before they turn in to a crack that means a replacement window is needed. By getting a chip fixed quickly you not only avoid paying a motorhome insurance excess or losing your no claims bonus, but you also help to keep insurance premiums down in the future by greatly reducing overall claims costs. (Please note: Only if your windscreen replacement claim cost over £1000 would your NCB be affected with Caravan Guard). 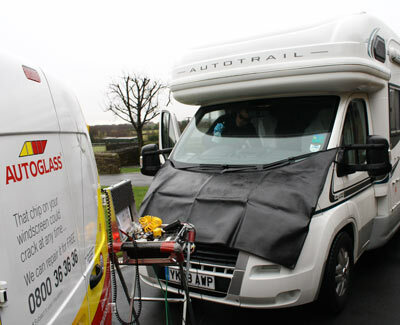 We’ve written before about when a motorhome windscreen chip is beyond repair, but now want to share exactly how the guys at Autoglass® do it, and what to expect when your windscreen is having a chip fixed. First they will check the chip is repairable (see our guide on what motorhome windscreen chips are repairable) and that the size and location of the chip are permitted under British Standard for repair (BS AU 242:1998a). Next they will protect the bonnet of the vehicle to avoid any scuffs during repair (and wear safety glasses and gloves). 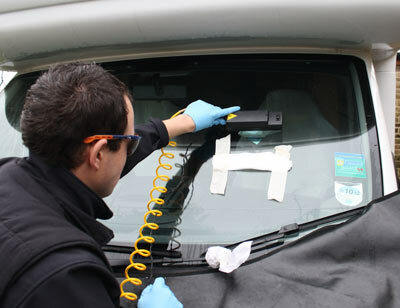 The windscreen chip is then prepared for repair (by checking the temperature of the glass and that the chip is open to allow primer and resin to flow into the break) before using a specialist resin injection tool to fill the chip. They will then check the repair is filled, and if necessary repeat the process to ensure the chip is fixed. Once the chip is successfully filled with the repair resin, a second more viscous, harder wearing “Pitfill” resin is applied on top to give good wear properties. The resin is then “cured” using an Ultra Violet (UV) Lamp. Once cured, any excess resin is removed and the surface of the repair is polished before the windscreen is cleaned inside and out to remove any rings from the repair apparatus. If you have a windscreen chip that you think is repairable then get in touch with Autoglass® today before it turns into a more severe crack. 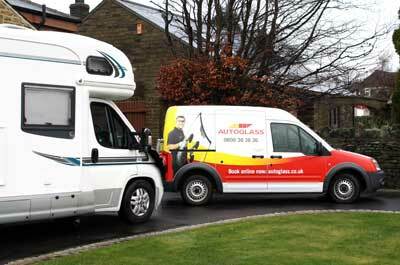 Call Autoglass® on their dedicated Caravan Guard customer line 0800 413 044 from the UK, or 00 44 800 36 36 36 from outside the UK. Visit the Autoglass website for more information.